I would have preferred the slim fit but it was out of stock. Shirt was still nice enough to keep. Lovely shirt, well made and well cut. 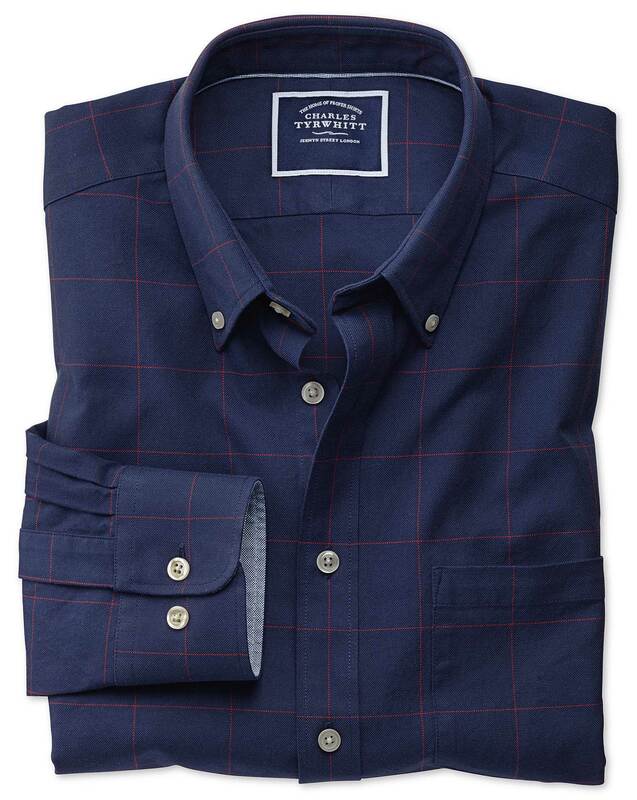 Response from Charles Tyrwhitt: Being a slightly heavier Oxford weave, it may well take a little more elbow grease to keep this shirt looking its best - but it will be worth it, as the quality is excellent! For something a little easier to take care of, I would certainly recommend giving our non-iron range of shirts a try. These are made from the same high quality 100% cotton, but are specially designed to be very easy to care for. Do feel free to pop this one back to us and request an exchange if you would like to give the non-iron a try.